Has getting your baby to sleep or having your baby sleep through the night become an issue? Though it can take a while for an infant to sleep a full 6-8 hours at night, there are other underlying factors that could be contributing to their inability to fall asleep or stay asleep very long. 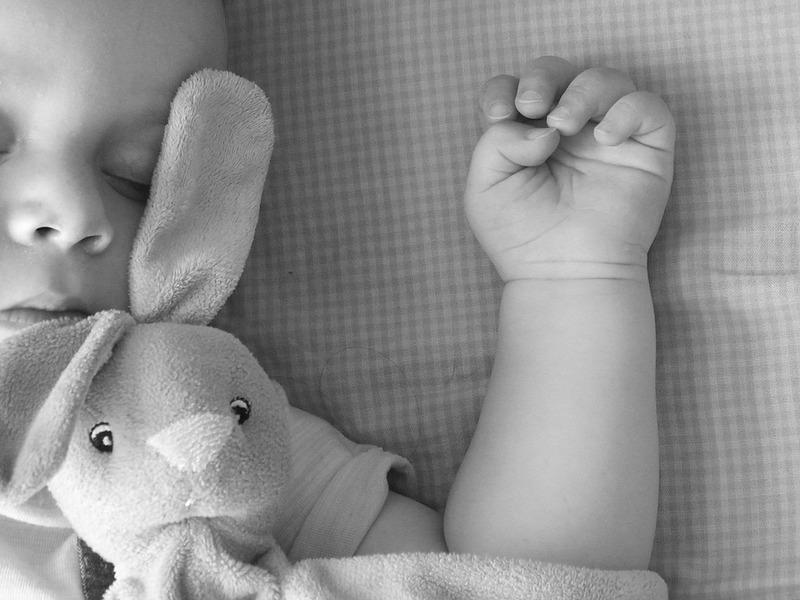 The truth is, your baby’s issues with sleep may have a lot of similarities to your own. Poor sleeping conditions can impede on someone’s ability to get good rest, no matter what age they are. Have you ever tried to take a nap during the day? While you may have been able to fall asleep at some point, getting there was likely a lot more challenging than it would be if it were nighttime, or you were in a dark room. When putting your baby to sleep, check to see how many lights are on at the time. Too many lights can keep the baby up longer than you’d like. If you want the baby to take a nap or get a good night’s rest, turn off all the lights and even consider solutions like darkening curtains to block natural light from getting in the room. When your mattress is in bad shape, your body feels the impact shortly thereafter. Tossing and turning, back aches, neck pains, and more can result from the wrong type of mattress or an old one. The same can be said for your baby’s crib mattress. If you have a used mattress or one that is cheap or poor quality, you may need to invest in a new baby mattress. As you shop, look for quality materials, good support, and great reviews. When you’re too hot or too cold, getting to sleep is a struggle. You toss and turn half the night trying to get to a comfortable temperature. If your baby’s room temperature is cold or really hot you will need to make some adjustments so they can get to sleep at night. You can try things like moving the baby crib from the window, installing a ceiling fan to keep it cool, or investing in a heater to increase the temperature in the baby’s room. As you get older, you kind of learn how to fall asleep in any environment. It’s a lot easier to go to sleep in a quiet space than it is one that’s noisy. When it’s time for baby to go to sleep, try taking them into their room and ensuring that their surroundings are quiet. If you have younger children, try to get them to wind down when you’re putting the baby to sleep so that they’re not disturbed. When you put the baby in the crib, turn off the television and even close the door so that they are not awakened by sounds from the house. When dressing your infant for bedtime, often, less is more. Just as you would probably have a hard time going to sleep in something with a lot of lace, snaps, or buttons, the same is true for your baby. You also don’t want to overdress them because this can increase their body temperature, making it difficult for them to get to sleep. Dress your baby in light, minimal clothing to get a good night’s rest. Your infant needs a sleep routine to get to sleep each night. There needs to be a clear indication of when you’re winding down, when their last feeding is, and when it’s time to go to sleep. Poor routines that might include playing with the baby, making lots of noise, or being out and about can confuse the baby and throw off their sleep pattern. Try to get some consistency by feeding, bathing, and winding down at the same time each day. Clearly, the same things that keep you from getting the sleep you deserve also keep your baby from getting a good night’s rest. Unfortunately, since your baby can’t voice these things for you, it will be up to you to figure out which of these factors is playing a role in your baby’s inability to get to sleep and stay asleep each night. With time and a few changes, your baby should eventually give you a good window of opportunity to get some much needed rest yourself.